Pre-launch tests and preview loops have appeared on Freeview in seven cities this week ahead of a raft of new channel launches for the local TV network. In Belfast, Bristol, Cardiff, Leeds, Liverpool, Newcastle and Southampton and surrounding areas, new local TV operators have commenced announcing their arrival on Freeview channel 8 (channel 23 in Cardiff). They join Brighton's Latest TV, which commenced broadcasting a pre-launch preview last week. Latest TV launches tomorrow, 28th August. The local TV channels are distributed on Freeview via local TV multiplex operator Comux, who already offers commercial channels POP, Chart Show TV and QVC Extra to viewers in local TV coverage areas via Freeview channels 75 (soon 125), 67 and 57 respectively. These channels are also available to viewers with YouView boxes who live in a local TV coverage area. Although viewers in the seven cities can retune now to get the channels (if they don't automatically appear); those who wait to retune Freeview on the 3rd September 2014, when there are further changes to the service will see the channels added to their TV's channel line-up then. 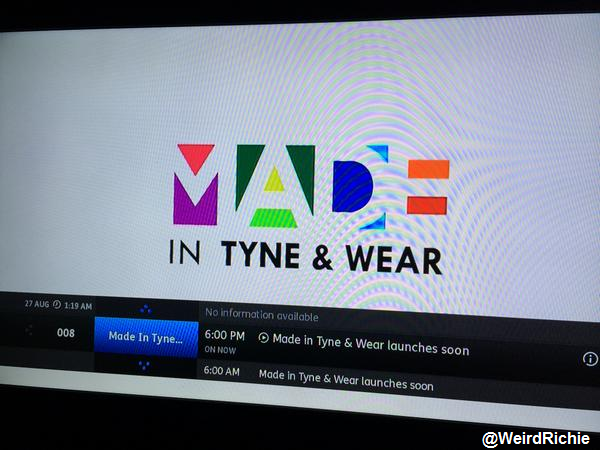 Now previewing on Freeview – they are scheduled to officially launch during the next two months. Click on the station’s name to visit their website. Freeview Channel Updates: August 2014 - see what's new on the digital terrestrial TV platform.